When it comes to choosing a water bottle, avoid polycarbonate that may contain harmful materials. 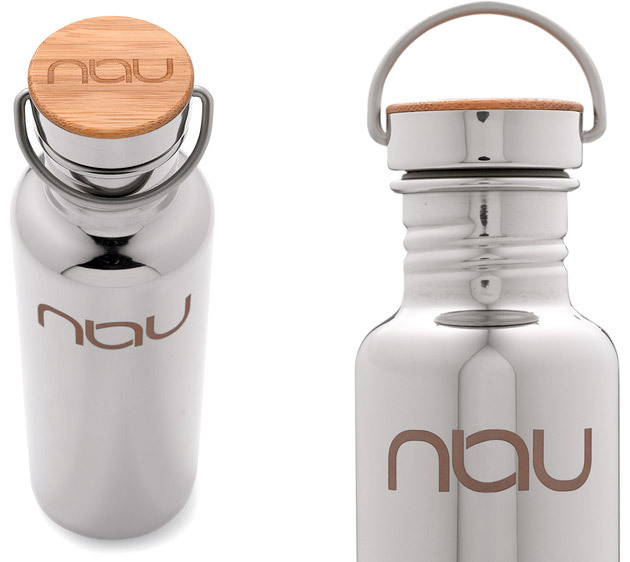 Instead look for bottle made from BPA-free stainless steel like the Nau Klean Kanteen ($40). It comes with a bamboo cap fitted with food-grade silicone seal and stainless steel ring. What it doesn't come with are paint and rubber found in most plastic water bottle.